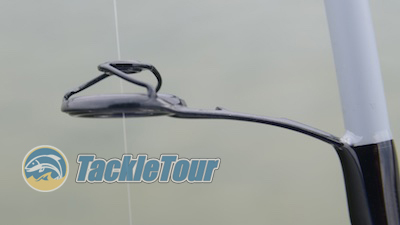 Introduction: Aaron Martens's switch from Megabass to Enigma Fishing was the sponsor change heard 'round the bass fishing world last year and for a while, it was a mystery as to just who, what, why, how, where, and when this new company sprung. Naturally everyone questioned how he could make such a switch from a company with whom he'd won 2 previous Angler of the Year awards. Well, he answered that by winning yet another in 2015! 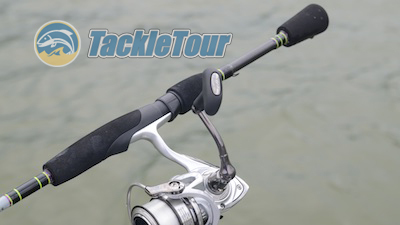 Here now is our first look at his new Edge - the EAM610-DS-ML-S spinning rod by Enigma Fishing. Introducing Enigma Fishing's Aaron's Edge EAM610-DS-ML-S spinning rod. Quality/Construction: Enigma Fishing Aaron's Edge EAM610-DS-ML-S fishing rod is a six foot, ten inch (6'-10") stick finished with a light grey paint from foregrip to tip. The rear grip is a split design made of EVA foam with good epoxy work around the thread wraps. Looking down the blank of our EAM610-DS-ML-S reveals a straight blank with guides that are aligned properly. 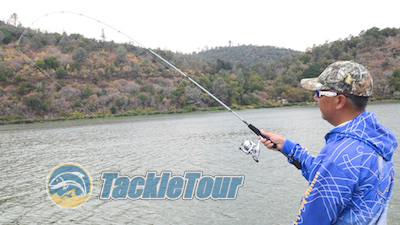 Performance: I matched our Aaron's Edge EAM610-DS-ML-S spinning rod with a Daiwa Exceler 2500SH reel spooled with 10lb Sunline Supernatural Monofilament and brought that combo with us on some trips to Lake Berryessa and Clear Lake, CA. There's something different about these guides. Casting: The EAM610-DS-ML-S is rated from one eighth of an ounce on up to half an ounce (1/8 - 1/2oz) in lure weight and has a very traditional finesse spinning rod feel to it. I primarily fished at the lower end of this rod's lure rating and felt the blank is rated properly. They're American Tackle's Microwave guides! 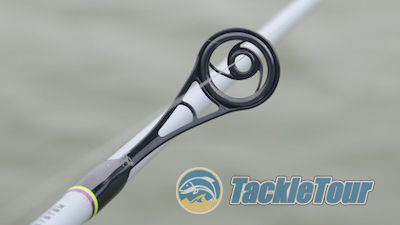 But of course, the real interest in this rod's casting ability is not necessarily with the blank, but the American Tackle Microwave guides, that up until now have been summarily dismissed as a gimmick or simply too funny looking to be taken seriously. The stripper guide is shaped like a funnel to smooth out your line as if flies through the guides. The key to the Microwave system is in the funky looking stripper guide that essentially serves as a funnel to gather the craziness of your line as it comes off the spinning reel and effectively channel it down into a streamlined flow so it can serve through your remaining guides more smoothly. 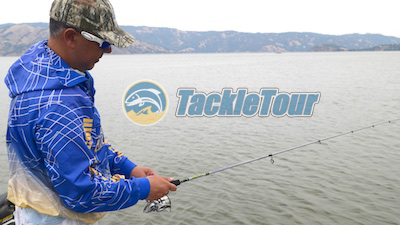 In turn, the theory is this leads to more accurate and farther reaching casts because your line isn't slowed by the friction of slapping the blank and guides as you go through your cast. Checking out the rod's power curve. Does it work? In a word? Yes. Did I notice my casts were longer or more accurate than normal? No. 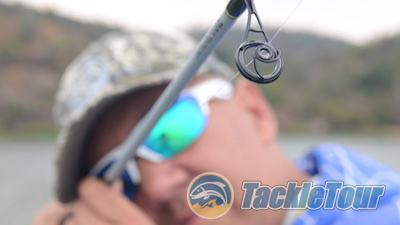 But there is a definite effect with this guide system on a spinning rod. Each cast was just smoother and more direct almost like making a cast with a baitcasting combo. It's a very eerie feeling. Unfortunately, not the most sensitive stick I've fished. Sensitivity: If there's a downside to this stick it's in its sensitivity. Perhaps fished with fluorocarbon, braid, or a combo thereof, results would have been better, but I was somewhat disappointed in the sensitivity of this stick. I had a very hard time distinguishing hard bottom from soft and with the bites I did get, the fish had to really commit for me to feel anything.